Have a question about travel? Ask away, and I’ll do what I can to help, either by writing up a new article or responding directly. Here’s what I’ve written already, either in response to a question or as I struggled to figure something out. The essential steps for travel planning (for Passport Health). I hate travel planning, so I’ve boiled it down to just the essentials. My top tips, including how to save money with the Global ATM Alliance, critical info you need in advance, packing tips, and special advice for Canadians too. For USA Today, packing essentials: Top 10 necessities when traveling. How to plan your dream vacation, for USA Today. How to choose where to stay: Different categories of hotels (mentioning several of my favourites), for USA Today. Should I travel after a terrorist attack? My analysis of the real risks and the key questions I’ve asked myself three times before deciding NOT to cancel trips to NYC, Paris and Tunis following attacks. My independent travel page, No tour, no problem. Planning, packing and photo tips for visiting Iceland: How to go on a photo tour of Iceland like a pro, for the photo site Skylum. Hotels for solo travelers, for Second Chance Travels, about some great hotels in three places everyone should visit: Siem Reap, Cambodia; Galapagos, Ecuador; and Fez, Morocco. How to survive the medinas of Morocco — no, you don’t need a guide, but you do need to come prepared (for Passport Health). How to see everything you want in the Galápagos islands but not return home exhausted: Best way to see Galápagos (for LuxuryAndBoutiqueHotels.com). On which Galápagos island should I stay? 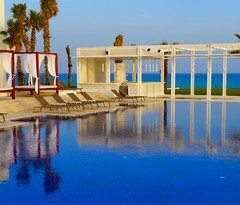 (for LuxuryAndBoutiqueHotels.com). Galápagos Islands without a tour — logistics and costs for travelling to and between islands independently (to come). To help make sure your experience arriving in and (especially) departing from Panama’s Tocumen airport is as easy as possible, my Panama’s Tocumen Airport: Need to Know. Here’s a crazy transportation story from my very first day in Southeast Asia – don’t let this happen to you! The original email home, Pursued by police in Phnom Penh, and the shorter version published in Canada’s national newspaper. I was quoted in this article about tips for couples travel, The Buddy System, by Stacey McKenna, for the Coloradoan’s Mind+Body magazine: online version; PDF of print version. International dining etiquette, for Second Chance Travels, so you know how to eat around the world without committing any faux pas. The respectful tourist’s guide to Tak Bet, the Buddhist alms-giving ceremony. A global guide to public displays of affection, with illustrations by Alice Clair. French version: Guide international des démonstrations d’affection en publique. Here’s my A global guide to public displays of affection, for TERN magazine. On behalf of all tourists, I apologize Luang Prabang — how the Tak Bat ceremony, and the reason Luang Prabang became a UNESCO site, is being ruined, and what you can do to stop it. And more packing tips: How to pack for Southeast Asia (for SilkWinds magazine). Need to know — the culture of Bali (for LuxuryAndBoutiqueHotels.com). Shopping sustainability — how you spend your money can make a big difference. Some advice for Luang Prabang, Laos in Beyond the monks and the mountain for New Jetsetters. Promoting literacy is a great way to give back when you travel. Ideally you will buy books at your destination (to ensure you get them in the language of need / education and to support the local economy). Please don’t mail books, though — the cost of postage alone would buy so much more if just donated in cash to the library or school you wish to support, and that way educators can select books based on their highest needs. The Medina Children’s Library in Fès, Morocco needs books in Arabic as well as cash donations to help pay for librarian salaries and rent. For more info, scroll down in this article I wrote about dining and other things to do in Fès. Think you’ve been conned? How to avoid travel scams, for SilkWinds, Singapore Airline’s regional in-flight magazine. For Hostelling International’s magazine (formerly TERN), Five travel scams I always avoid and the one that got me. How to eat safely while traveling — My bouts of Montezuma’s revenge have (knock on wood) been very minimal. For Second Chance Travels, I’ve given my tips to help you keep it at a minimum too. For Passport Health, How to avoid traveller’s diarrhea, with tips I bet you didn’t know to make sure your stomach stays happy and healthy. Belly health on the road, a post from Panama for World Travel Buzz. Everyone is freaking out about Zika — should I? (For World Nomads) There is something you should be worried about with Zika, but I bet it’s not what you think. Why is everyone so freaked out about Zika? Tips for protecting not just yourself but people more vulnerable than you from Zika and the much more dangerous diseases dengue and malaria. The challenges of eating at high altitude: Dining challenges in Cusco, Peru (for LuxuryAndBoutiqueHotels.com). Should I travel after a terrorist attack? My analysis of the real risks and the key questions I’ve asked myself three times before deciding NOT to cancel trips to NYC, Paris and Tunis following attacks, for World Nomads. Should you travel to a country after there’s been a terrorist attack? I say yes, and explain why; plus a link to the highlights of the wonderful country of Tunisia, which I visited a month after the attack on the Bardo Museum. 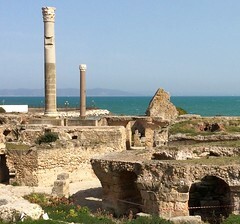 Questions to ask about visiting a country affected by a tragedy like a terrorist attack: Tragedy and tourism: Tunisia’s Bardo Museum (for The Wayward Post). Turn off your engine at the waterhole (and other ways to stay safe in Namibia) for The Travelettes. Visiting the dentist in Thailand. Stuff I like, including World Nomads’ travel insurance and RoadID bracelets. Stress can happen to everyone, in regular life and while travelling. Want to reduce stress and prevent burnout? Some articles below. I also give workshops on stress management and preventing burnout … feel free to get in touch. How I curated my bedroom to help deal with my insomnia, written for Apartment Therapy for World Sleep Day. It includes some of the stuff I always pack in my bag so I can sleep on planes and in practically every hotel room (even the ones which clearly were not designed for sleeping). Simple self-care advice for a happy and mindful life (for RUBY). Feeling tired while travelling in the Muslim or Arab world? Get yourself to a hammam! Here’s what to expect: The hammam: a different sort of spa day (for Nanuism). And here’s a round-up of spa hotels around the world and what to consider when you need a spa vacation: Spa seeking: Spa hotels around the world (for Nanuism). How to pack light: an article for Men’s Journal about some of my fave clothing and gear for my beau and me to travel light. So what’s “resort casual” anyway, and how do you pack for it when you’re going south? For USA Today: What attire is appropriate for resort casual at a tropical resort?. Packing and photo tips for visiting Iceland: How to go on a photo tour of Iceland like a pro, for the photo site Skylum. Tech: Do you need to travel with a laptop? I don’t think so. Working on the road without a laptop: yup, you can do it! for TooManyAdapters.com. Five essentials for a safari in Namibia (published by the Namibia Tourism Board). What to pack for a safari in Namibia (original, with my product recommendations). Testing out gear for travelling light: A week-in-my-life, for The Professional Hobo. I travelled for six months with a 40 L duffel bag (and a separate carry-on). If you want to know what I brought and what I would do (and not do) differently, let me know and I’ll write it up. 10 beginner tips to take your photography to the next level, for Skylum. Looking for inspiration for your photos? Check out 10 women photographers whose work you should be following. The lemon pie life, an interview by Lauren Crabbe’s Human Gallery on The World, Please. Travelling long term: How I did it, my interview on TheGrownUpGapYear.com. Working on the road without a laptop: yup, you can do it! for TooManyAdaptors.com. A week-in-my-life, for The Professional Hobo: one of my first weeks in my new nomadic life, this one during a solo trip to Panama. Getting onboard the luxury and boutique hotel train: What if you had said yes? (a lemons to lemon pie chapter). How do you figure out what you want to do with your life and then make it happen? Finding your passion. How to have the best African safari, for LuxuryAndBoutiqueHotels.com. Five essential for a safari in Namibia (and anywhere else, for that matter). Have a question I haven’t answered? Feel free to ask it!